Ace Ghanaian Highlife maestro Daniel Amakye Dede has been selected as the next big act to be celebrated at this year’s Legends and Legacy Ball slated for September 15. 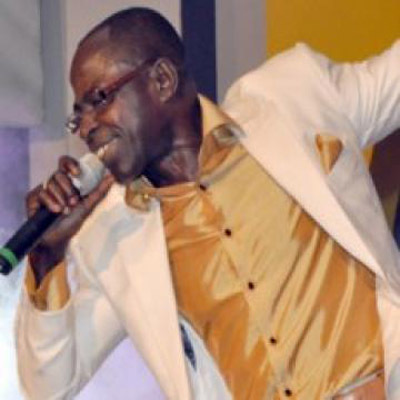 The main auditorium of the International Conference Centre would come alive on the said date as several Ghanaian musicians would be performing selected hit songs of the ‘iron boy’ Abrantie Amakye Dede who has about 28 albums to his credit. 100% Zobla zo singer and Ivorian superstar Freddy Meiway is the guest international act for the night. Some Ghanaian artistes billed to perform Amakye Dede’s songs on the night include Becca, Eazzy, Samini, Kwabena Kwabena, Okyeame Kwame, Daasebre Gwamena and several others. The first Ghanaian to have been celebrated in this grandeurs fashion is DL, popularly known as Daddy Lumba who has also blazed the Ghanaian music industry with countless hits with his career spanning over three decades. Event organisers Imagin Advertising have promised a spectacular moment for lovers of good highlife music. The last act for the night would be from ‘serious’ Amakye Dede himself whose stage performance and energy is unrivalled.